The next monthly members meeting will take place at St Peter's Church Centre, Glenfield on Thursday April 25th at 2pm. Doors open at 1.45pm. The guest speaker will be Helen Baxter on 'Ulverscroft Grange and The Shuttlewood Clark Foundation'. 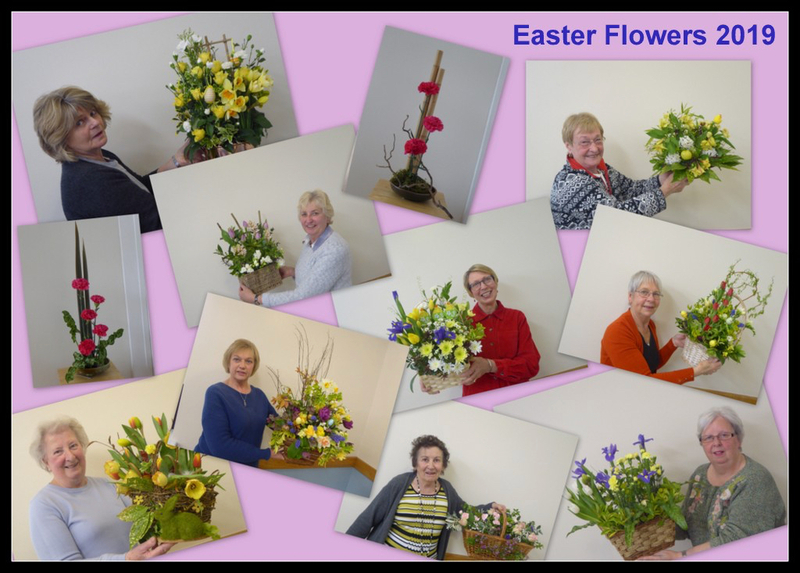 A collage of the Flower Arranging group's members and their beautiful Easter arrangements created by Angela Barbour.